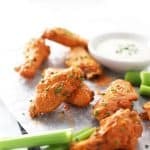 I love these healthy air fryer buffalo wings because they are so crispy and the recipe is incredibly easy with only four ingredients! Does air fried food actually mimic deep fried food? Air fryers work surprisingly well but the results aren’t exactly the same as deep frying. Air fried foods aren’t as crunchy as some deep fried foods but they’re definitely crispier in the best way. 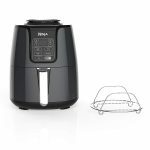 The air fryer creates this incredibly crispy texture that is light and airy without drying out the food. As an added bonus, foods cook incredibly fast! Which size air fryer should I get? Air fryers range from 2-quarts to nearly 6-quarts. 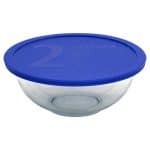 I think the 3-4 quart range is perfect for those cooking for one or two. If you are regularly cooking for 3+ people the 5+ quart option would be your best bet. The size of the basket is deceiving. The basket is the area the food is cooked in and it looks TINY but it can fit more food than you’d think. I use a 4-quart air fryer and can easily make a full chicken dinner for two entirely in my air fryer. I have the 4-quart Ninja Air Fryer and 2 lbs. of chicken wings fit perfectly (about 15 wingettes give or take). What is the difference between a wing and wingette? 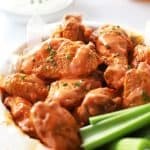 Whenever I use the word wing I’m referring to the single drummies like what you see in the images in this post. 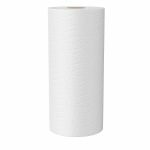 HOWEVER, we’re going to get technical here to make grocery shopping a little easier. 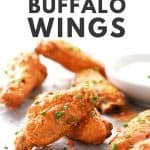 Wings technically refer to the entire chicken wing. 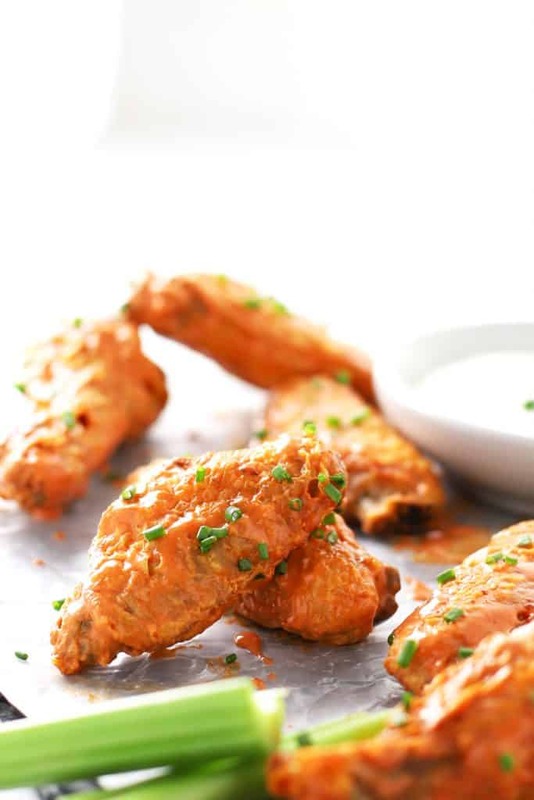 A wingette is the chicken wing cut into single drummies. 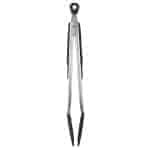 Unless you’re comfortable cutting chicken wings into wingettes, you should aim to buy wingettes at the store. 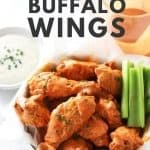 Which buffalo sauce to use? Use whatever your little heart desires! If you’re looking for a recommendation, I always use Frank’s RedHot Buffalo Wing’s Sauce. It’s my favorite and sold pretty much everywhere. 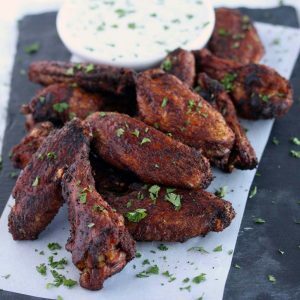 If you aren’t really a buffalo sauce person, try my dry rub oven baked wings. They’re tasty, crispy and healthy! 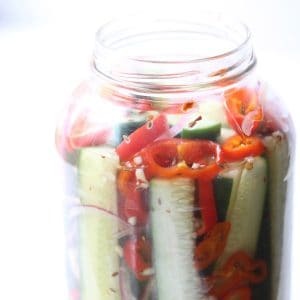 For a complete snack spread (maybe game day or a party?!?! 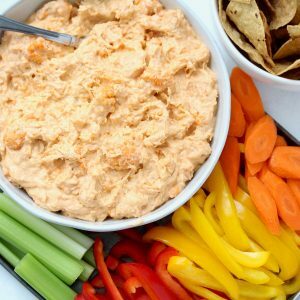 ), add buffalo chicken cauliflower dip and homemade garlic dill pickles to the mix! 1. Air fry the wings. 3. 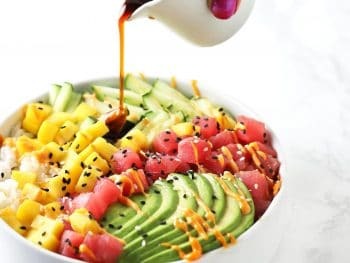 Serve with ranch dressing and enjoy! 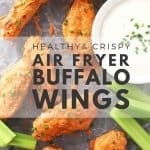 These healthy air fryer buffalo wings are incredibly crispy and so easy to make. 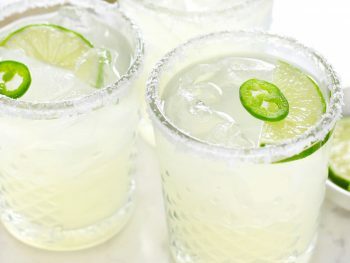 This recipe is only four ingredients! 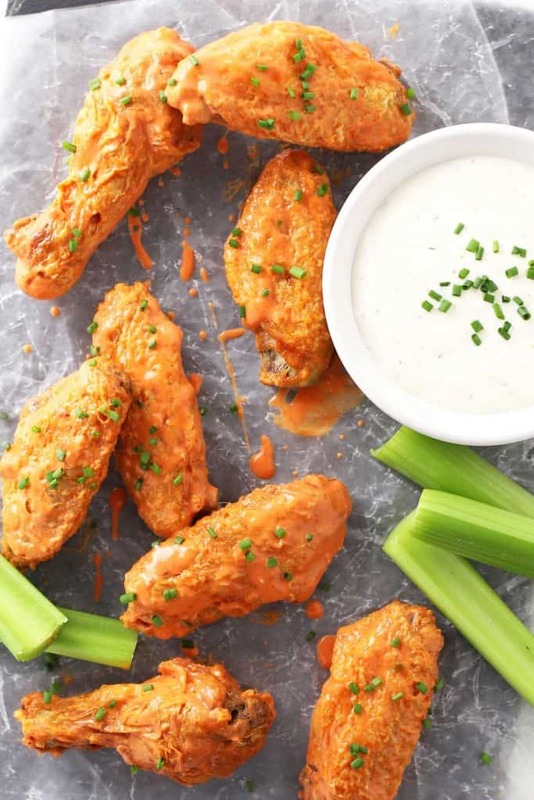 Pre-heat Air Fryer: Make sure the air fryer is preheated at 390 degrees for at least 3 minutes prior to cooking the wings. This ensures maximum crispiness! 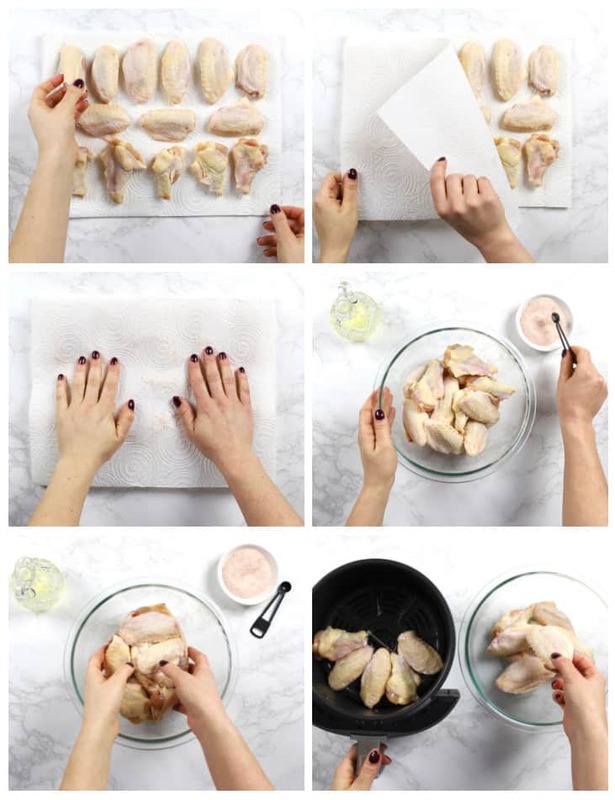 Prep Wings: Lay the wings out on paper towels and pat them dry. The drier the wings, the crispier they’ll be! Put the wings in a medium bowl. Sprinkle the salt over the wings and add the olive oil. Using your hands, toss the wings until they’re coated with the olive oil. 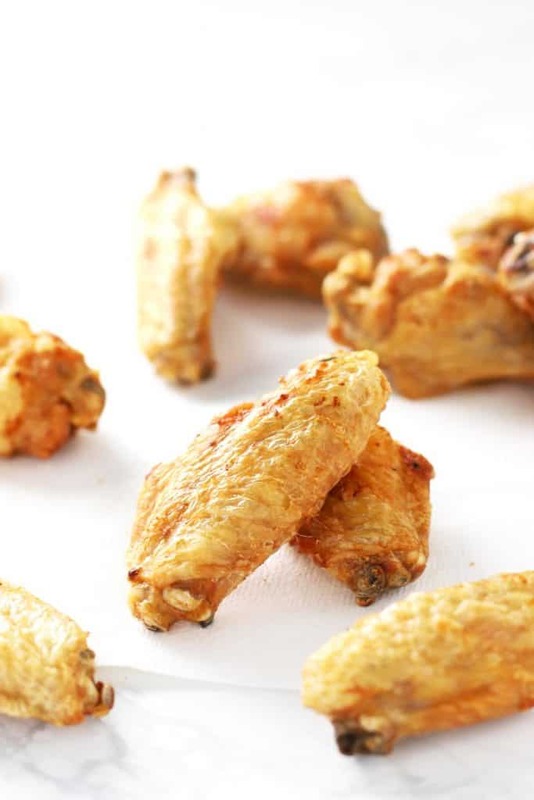 Air Fry: Air fry the wings at 390 degrees for 24-26 minutes flipping the wings halfway through. 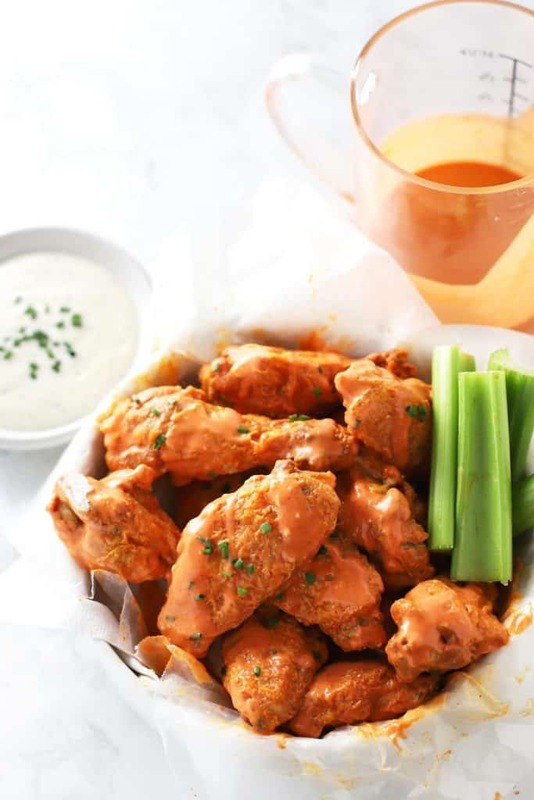 Make Sauce: While the wings are cooking, in a small bowl whisk together the buffalo sauce and plain Greek yogurt. That’s it! 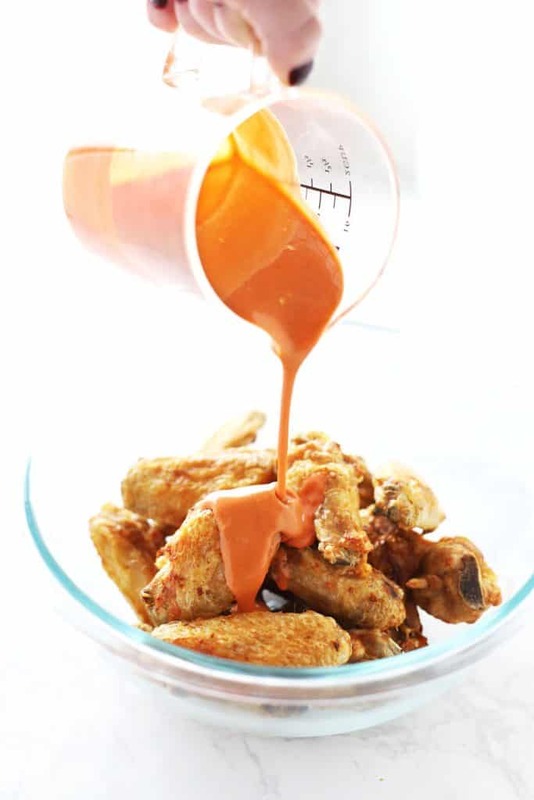 Toss is Sauce: Once the wings are done cooking, put them in a medium bowl** and toss them in the sauce until coated. Enjoy! 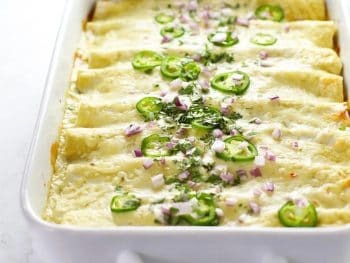 : Serve with healthy homemade ranch and enjoy! *Wings are the entire chicken wing. Wingettes are chicken wings cut into individual pieces/drummies. Aim to buy wingettes at the store unless you are comfortable cutting full chicken wings into pieces. 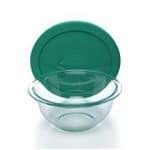 **If you reusing the same bowl from step 2 in step 5, make sure it is clean to avoid cross contamination.